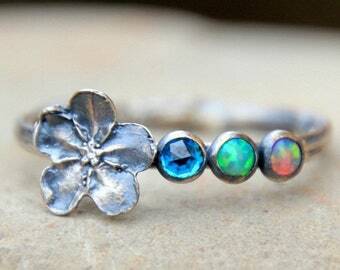 Please let me know which opals/gemstones you would like. 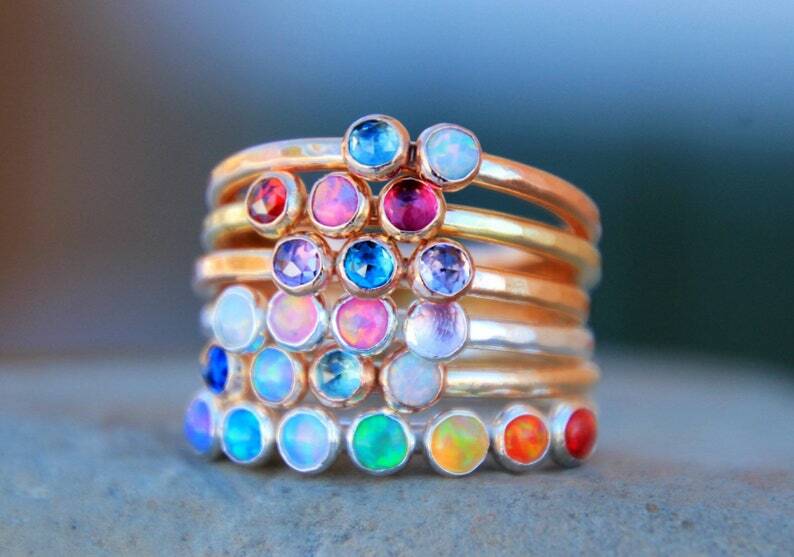 This is such a beautiful and unique ring! 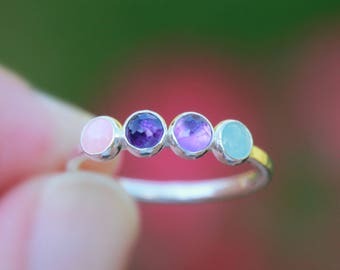 A great way to show off multiple gemstones on one dainty band. Of course, I decide to get pictures on the COLDEST day, -10 windchill, fingers frozen, camera fogging up, so better pictures will be coming! 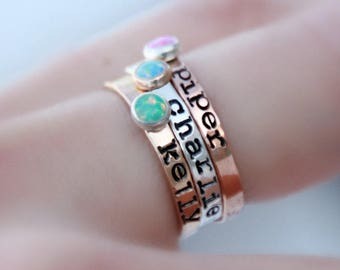 If you would like to purchase multiple rings, please make your selections in the drop down boxes, click the 'add to cart' button, then return back to the listing to make your next selection. 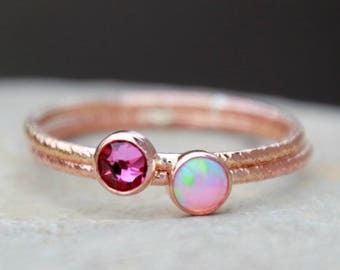 Once you have the desired amount of rings in your cart, proceed to checkout and please let me know all the gemstone info in the 'notes to seller' box. If you have any questions, please feel free to message me. I am happy to answer any questions! 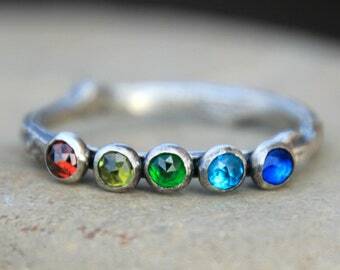 💍Please select your metal choice, number of gemstones and ring size in the drop down boxes.💍 If you need more than 9 gemstones, please message me.